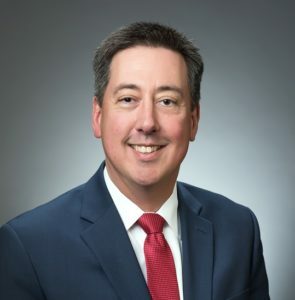 Tony Golik has prosecuted thousands of cases in his career. His highest priority is to elevate victim communication and ensure that all cases are resolved fairly, thoughtfully, and expeditiously. In 1996, Tony Golik became a Deputy Prosecutor. He has prosecuted all types of cases. Tony has personally prosecuted many of the most serious cases in Clark County. He continues to personally handle cases as an elected official. Below is a short list of some of the cases Tony has prosecuted. Sanford murdered thirteen year old Alycia Nipp. He pled guilty to aggravated murder in the 1st degree and was sentenced to life in prison without the possibility of parole. Ferrell bludgeoned a woman to death with a hammer and attempted to kill her husband. Ferrell pled guilty to aggravated murder in the 1st degree and was sentenced to life in prison without the possibility of parole. Peterson pled guilty to two counts of murder in the 1st degree and was sentenced to 57 years in prison. Karnath pled guilty to murder in the 1st degree and was sentenced to 30 years in prison. Felix pled guilty to murder in the 2nd degree and was sentenced to 36 years in prison. Barasa and Otero, both Noreno gang members, fired multiple rounds into a Vancouver apartment complex. At trial, both Barasa and Otero were convicted on two counts of attempted murder in the 1st degree. Barasa was sentenced to 60 and Otero to 46 years in prison. Three Sureno gang members attempted to murder a man by stabbing him in the heart. At trial Perez was convicted of attempted murder and sentenced to 17 years in prison. Campos Cerna was the first documented MS-13 gang member in Clark County. At trial Campos Cerna was convicted of murder in the 1st degree and attempted murder in the 1st degree. He was sentenced to 45 years in prison. Classen stabbed his wife to death with sewing scissors. At trial Classen was convicted of murder in the 1st degree and was sentenced to 23 years in prison. McBain stabbed his father to death. He pled guilty to murder in the 2nd degree and was sentenced to 20 years in prison. Constance attempted to hire three men to kill his wife. At trial he was convicted of three counts of solicitation to commit murder in the 1st degree. Constance was sentenced to 53 years in prison. Rekdahl, along with 3 co-defendants invaded a home in Vancouver. They shot and killed Robert Harrington and attempted to kill his wife. At trial Rekdahl was convicted of murder in the 1st degree, attempted murder in the 1st degree and assault in the 1st degree. He was sentenced to 61 years in prison. At trial Watson was convicted of murder in the 1st degree and was sentenced to 40 years in prison. Kolesnik stabbed Corporal Zimmerman in the face and ear with a screwdriver. At trial Kolesnik was convicted of assault in the 1st degree and was sentenced to 20 years in prison. Eaton was convicted of assault in the 1st degree and was sentenced under the three strikes law to life in prison without parole. Gaul strangled and beat his mother, Junette Gaul, to death. Junette Gaul was 80 years old. At trial Gaul was convicted of murder in the 1st degree and was sentenced to 25 years in prison. Defendants committed a takeover style armed robbery of a Shari’s restaurant in Vancouver. At trial all three defendants were convicted of robbery in the 1st degree. Ferguson was sentenced to 27 years in prison. Youngblood was sentenced to 27 years in prison. Fitzpatrick was sentenced to 11.75 years in prison.